About eight years ago, a casting memo for Star Trek: The Next Generation surfaced with the names of candidates being considered to play everyone from Geordi LaForge (Wesley Snipes was among them) to Jean-Luc Picard. 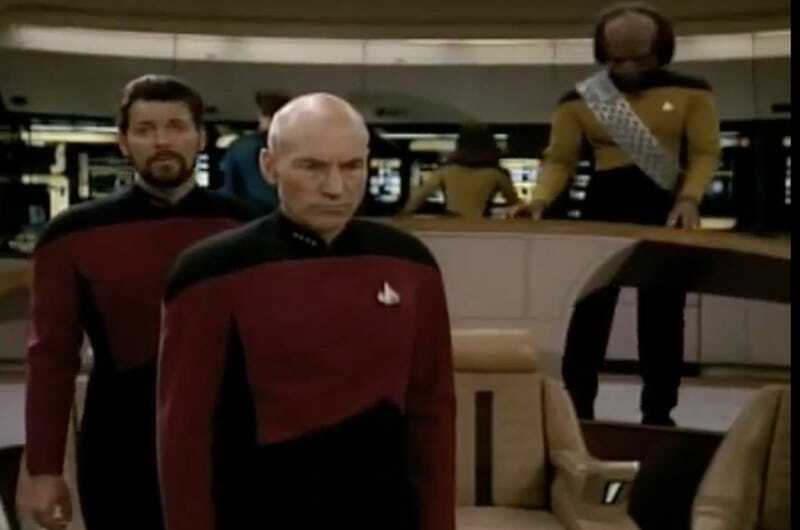 It’s hard to imagine anyone but LeVar Burton and Patrick Stewart in those roles, but a set of newfound documents reveals the original pitch envisioned a very different crew. The Trek Files podcast, led by Star Trek expert Larry Nemecek, posted some early conceptual work for TNG, which Paramount shared with Gene Roddenberry in an attempt to get him involved in the new series. The Star Trek creator initially turned the studio down when it began dreaming up a follow-up to The Original Series, but he reportedly decided to head back to the bridge when he took exception with the pitch. According to the memo Trek Files posted on its Facebook page, Falcon Crest producer Greg Strangis pitched a show with a Vulcan captain (Captain Rhon) who would be killed off in the pilot, but would live on in the ship’s computer. Acting captain Richard Kincaid would then be able to summon a hologram of Rhon when he needed advice. There would also a second Vulcan in the crew for the Odyssey (that would have been the name of the ship), who’d act as the science officer. It looks like the only idea from Strangis’ pitch that made it into TNG was his Commander Mynk character, a Klingon who served aboard the Enterprise–er, Odyssey. But the franchise did eventually feature a hologram crew member (The Doctor in Star Trek: Voyager), not to mention the holodeck that made so much trouble on the Enterprise-D. And coincidentally or not, Star Trek: Discovery saw both the death of a beloved leader and a war with the Klingons, so maybe his concept wasn’t all that far-fetched.